SAN MATEO, Calif. – Feb. 14, 2018 – Snowflake Computing, the only data warehouse built for the cloud, today announced that Snowflake has been positioned as a Challenger in Gartner’s 2018 Magic Quadrant for Data Management Solutions for Analytics report*. This year’s full report is available complimentary from Snowflake here. Snowflake views the report’s findings as confirmation that Snowflake’s cloud-built data warehouse is well-positioned to serve the data analytics needs of the modern enterprise. Specifically, Snowflake believes that it embodies all of the key attributes of data analytics technologies from yesterday, today and tomorrow: the power of data warehousing, the flexibility of big data platforms, the elasticity of the cloud, live data sharing and much more. Snowflake views these attributes as a solution to the challenges Gartner raises in the report. Bob Muglia, Snowflake CEO, said he believes that Gartner’s findings were congruent with Snowflake’s vision of enabling the global data economy when Snowflake first architected its solution. 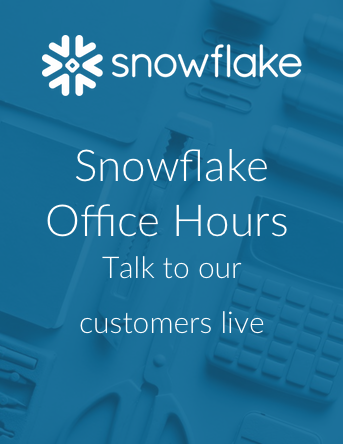 All of Snowflake’s features and benefits have emerged from its cloud-built architecture, with many more features on the horizon so that any organization can become a data-driven enterprise. Gartner’s report evaluated 22 vendors based on their ability to execute and the completeness of their vision for its Magic Quadrant for Data Management Solutions for Analytics. Gartner’s Ability to Execute axis comprised seven evaluation criteria: product or service, overall viability, sales execution/pricing, market responsiveness and track record, marketing execution, customer experience, and operations. The other axis, Completeness of Vision, comprised eight criteria: market understanding, marketing strategy, sales strategy, offering (product) strategy, business model, vertical/industry strategy, innovation, and geographic strategy. *Gartner “Magic Quadrant for Data Management Solutions for Analytics” by Adam M. Ronthal, Roxane Edjlali, Rick Greenwald. February 13, 2018.